Enjoy a secure income and steady business in the waste management industry sector! Our rubbish removal franchise opportunity comes with guaranteed benefits in place. From full-service training, individual coaching and ongoing support to organising your job schedule and doing all the admin work for you - we’ll help you get your business up and running in no time. With us, you will experience working in an innovative franchise model environment under a much-loved brand. What does the franchise price cover? 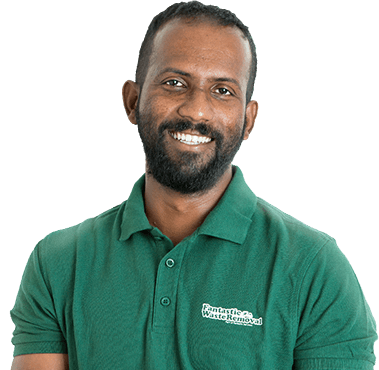 By joining the Fantastic Waste Removal franchise network of aspiring entrepreneurs, you’ll set yourself on the path to growth and success in a popular and environmentally friendly industry field. 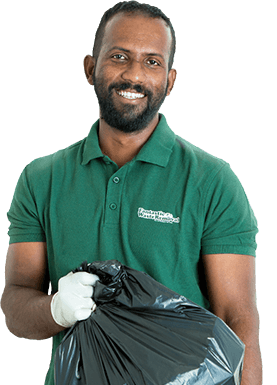 You will be helping Australian businesses, homeowners and tenants manage their waste in a responsible, yet hassle-free manner. Our price includes full training, on-site practice and one-to-one coaching, so you don’t even need previous experience in managing a business. In addition, we can assist you with getting the right vehicle, tools and equipment, as well as devise a personalised investment plan to suit your career development goals and individual circumstances. Our innovative franchise system also takes care of the entire marketing, advertising and job booking process, so you won’t need to worry about a thing. You will get immediate access to convenient business management software tools, which will facilitate your business operations and day-to-day customer relationships. When you invest in this franchise package, you will be able to offer our clients a comprehensive range of waste disposal solutions. Depending on the size of the vehicle you have, your experience and personal preferences, you can specialise in, upsell and cross-sell the services we describe below. Note that presently, we do not collect any hazardous materials, as those would require obtaining an additional licence. The service involves collecting and removing organic rubbish, which in most cases has been generated from gardening work (old mulch, grass clippings, hedge trimmings, cut-down vegetation, etc.). Also, seasonal and weather-related green waste, such as fallen leaves, twigs, broken tree branches and other plant debris can be taken away, upon request. Note that despite being biodegradable, we do not dispose of food scraps and liquids. You’ll be responsible for loading, transporting and disposing of various types of general household waste. From old and broken items, toys, appliances, carpets and rugs, cardboard packaging and books to everyday stuff made from plastic, wood or metal - your job will be to remove the rubbish from the property and take it to the nearest licensed waste centre. A popular service among both commercial and domestic clients, it offers convenient removal of old, unused or broken home or office furniture, such as chairs, wardrobes, desks, bookcases, mattresses, tables, bedroom furniture and more. On top of investing in a good-sized vehicle, you’ll need to get equipped with a set of basic tools to dismantle large pieces furniture, so they can be loaded securely in the van or ute. This is a slightly more specialised service that provides customers with waste collection and removal solutions, upon completion of any construction work, property demolition and renovation. An adequate-sized vehicle is a must (a skip bin truck/skip truck) as you’ll need to be able to load large pieces of building waste and left-over materials, made from wood, concrete, stone, brick, metal etc., excluding anything that has been classed as hazardous. It is not easy to compete with large and established local brands when you’re a sole trader or you run an independent small business. So, if you are a struggling owner of a rubbish removal start-up, our offer is for you. With us, you’ll make that much-desired step towards a fast business progress, guaranteed earnings and rapid return on your investment. If you have some waste management experience and own a truck or a ute, you can join us and become the successful owner of a rubbish removal business. Or maybe, you lack the above but want to showcase your entrepreneurial spirit and invest in a proven franchise model in this field? We are still interested in hearing from you. You will help you pass all the required training courses and on-the-job practical tutorials to get you started. Read what our franchise partners say about their success in working with us. 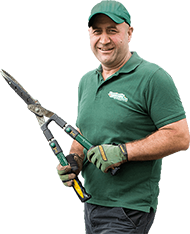 Fantastic Waste Removal is part of our ever-expanding franchise company Fantastic Services Group. We strive to make Australians’ lives easier by providing them with convenient, all-in-one eco-friendly rubbish removal solutions. We collect and dispose of various types of waste, by using only reputable recycling and waste management centres. The company currently seeks individuals, sole traders and small business owners to join our waste disposal franchise partners’ teams in all four locations that we operate in. We offer an easy start to all budding or experienced entrepreneurs who want to enter into a secure franchise partnership and grow their business with minimum risk and a guaranteed success.